My partner and I went hiking near Wrightwood on Sunday and decided to drive back the long way -- across the San Gabriel Mountains on the Angeles Crest Highway. As usual there were lots of rocks on the road, which we owed to the steepness and crumbliness of the range. (For those who don't live in the area, the San Gabes are the mountains that divide the L.A. metro area from the Mojave Desert). 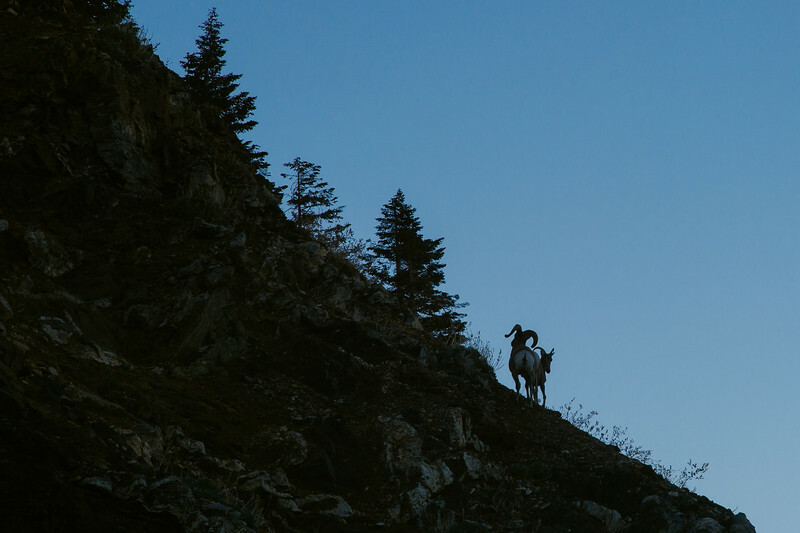 And then we rounded a curve at Dawson's Saddle and there they were: a pair of bighorn sheep to the side of the road. We pulled over, they scampered right up the hillside and sent a shower of rocks back down on the road. 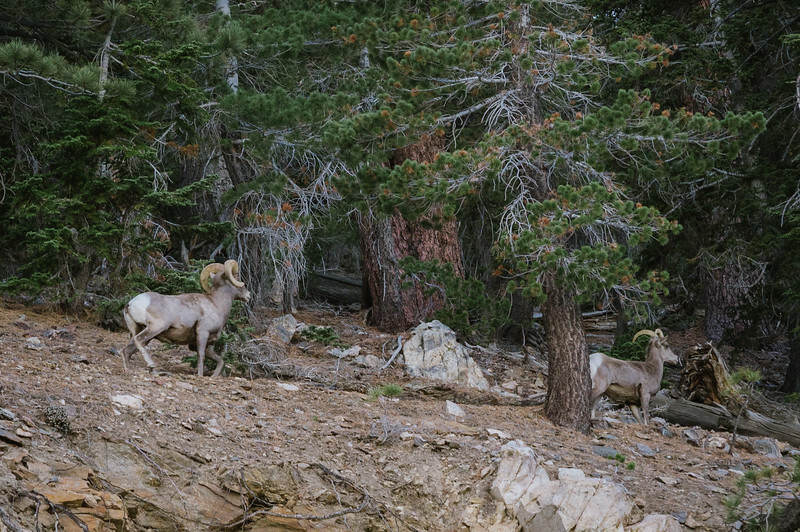 I've lived in So Cal for 20 years and hiked much of that and had never seen bighorn. I had my camera handy, powered on and with the lens cap on, so I was able to start shooting away. The 85mm lens wasn't ideal (the telephoto was at home, of course), nor was shooting through the windshield initially. But at least I got a few shots. Both needed crops -- but man oh man, the 85mm 1.4D lens I was using (a rental) was sharp. And at least I know where to go looking for sheep the next time -- with the 300mm lens or something longer I may rent. All my galleries are here, along with info on prints and licensing. These photos are ©Steve Hymon and may not be used elsewhere without my advanced written permission. All rights reserved.